Whole Plant Derived microorganisms that provide 14 live probiotic strains in a spectrum that infiltrate the entire GI tract and crowd out pathogenic bacterium. It also contains a special type of Inulin (FOS) which is a prebiotic and dietary fiber that helps feed only beneficial bacteria so that they survive and reproduce. Inulin also acts as a fiber by "scrubbing" the intestines walls as it passes through the GI tract. Unlike other forms of Inulin, this type of Inulin has a guaranteed chain length that only varies between 8 and 13 monomers in length. This is important because different forms of Inulin can vary from 2-60 monomers in length. Inulin with a chain length between 8 and 13 monomers only feeds friendly bacteria in the digestive tract. 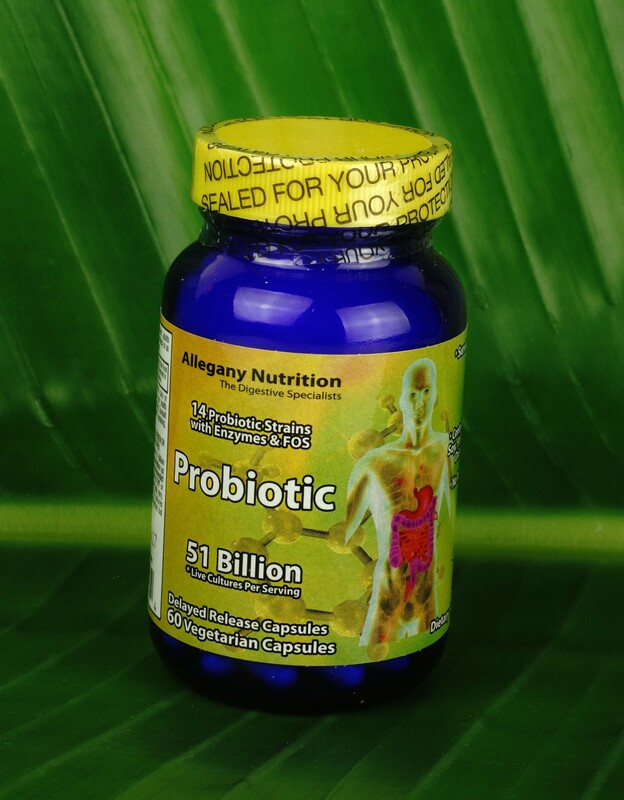 Whole Plant Derived microorganisms that provide 14 live probiotic strains in a spectrum that infiltrate the entire GI tract and crowd out pathogenic bacterium. It also contains a special type of Inulin (FOS) which is a prebiotic and dietary fiber that helps feed only beneficial bacteria so that they survive and reproduce. * Inulin also acts as a fiber by "scrubbing" the intestines walls as it passes through the GI tract. * Unlike other forms of Inulin, this type of Inulin has a guaranteed chain length that only varies between 8 and 13 monomers in length. This is important because different forms of Inulin can vary from 2-60 monomers in length. Inulin with a chain length between 8 and 13 monomers only feeds friendly bacteria in the digestive tract. Candida yeast has no resistance to enzymes. * They also cannot build a resistance to them like they can do with many treatment programs. * They do not cause the candida to mutate into a more resistant form. * Having the correct diet is also key to the relief from candida yeast. * Ask your health practitioner for dietary advice.